Posted by Candie Kates on June. 28, 2017 16:17:49. Android is the most popular mobile os on planet and there are millions of smartphone powered by it. Currently, we can't live without smartphones, which contains the secrets and confidential data that no one wants to share it with others. That includes important messages, medical records, private business information, and emails from clients, contacts details and not to mention, the precious images and videos. We can't let these data fall on wrong hands that could misuse them in future. But does that mean that you can never sell your Android smartphone to anyone just in fear that someone can gain access to your files and folders? Absolutely not. Why You Should Wipe Android Data before Selling? For a simple reason – Not to become a victim of identity theft. Even, sellers on eBay has confirmed that private data and information were recovered even after all data were deleted from their smartphone. So, to avoid these kind of misuses, we must delete all the data from our smartphones. In this short tutorial, we will show you how to fully erase Android phone before selling it. Thankfully, every Android smartphone gives you the ability to factory reset it. It means, that your phone will go back to the state when you first bought it by removing all the pictures, messages, music, videos, applications and any other private data. However, the deleted data can be easily recovered with professional software like TunesBro Android Data Recovery. Step 1. Tap on Menu and find Settings. Step 2. Scroll down and touch on "Backup & Reset" once. Step 3. 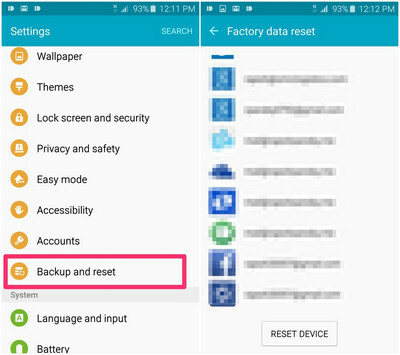 Tap on "Factory Data Reset" followed "Reset Phone". Step 4. Now wait few minutes while your device finish the factory reset operation. It may restart a few times and finally you will get an empty phone. A basic deletion never really deletes the file from an Android device; it simply deletes the links pointed to the physical storage. It means the data is still recoverable with the help of data recovery software. This will compromise the entire privacy and security of your phone. 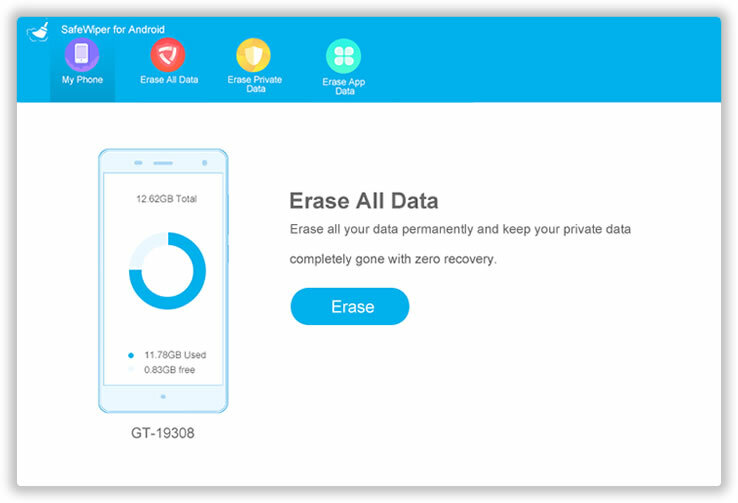 To overcome these drawbacks and to erase everything from your Android phone beyond recovery, you should use a professional third party data erasing tool that will delete all data and information from your device that can never be recovered ever again making the whole deleting process permanent. 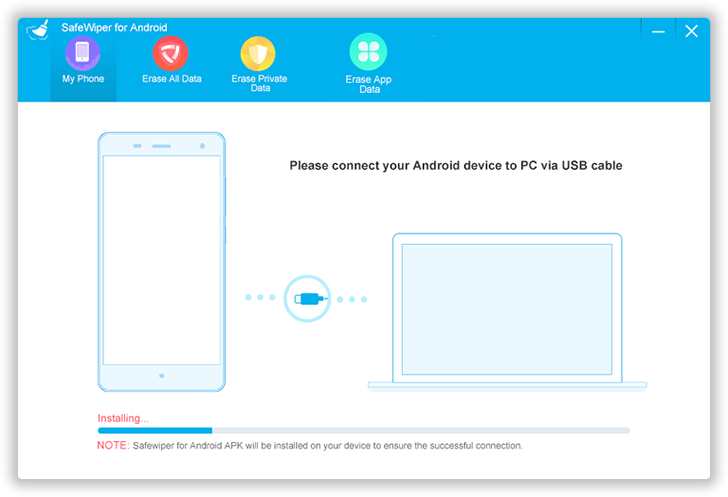 TunesBro Android Data Eraser is a proficient and effective data wiping software that will erase everything from your device with a single click on your mouse. It will delete all the photos, messages, contacts, call logs, music, videos and other private data that cannot be recovered using any data recovery software. Currently it is supported in all Android devices that are available in the market and works from both Windows and Mac computer. Head to the official website and download the software on your computer. Next, open the ".exe" file and install the program in any desired location. Launch the program after installation and connect your smartphone to your computer via USB data cable. Now, turn on USB debugging on the phone and wait until the phone is detected by the tool. Once the phone was detected by the progran, it will install an Android app on it to make communications between Android and Computer. Please grant the permission it asks on the phone. 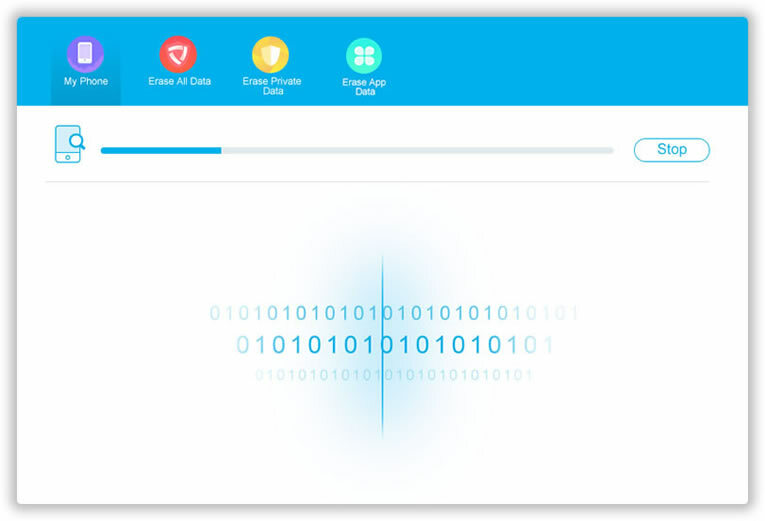 Next, click on "Erase All Data" and you will have to manually type "Delete" on the empty box field to make sure you are not deleting these files by accident. Now, wait while the operation is taking place, it may take a few moment but you can work in the background as it won't interrupt the software at all. When your Android is completely cleaned, the software will ask you to factory reset it once just to make sure that you are logged out from all online services and applications. Now, you phone is totally cleared and you are ready to sell your phone to anyone without worrying about your precious data getting stolen by any stranger. If you signed in Android Device Manager service (Now named as Find My Device) on the phone, then you can wipe the phone remotely if it was connected to Internet. This is a great way to protect your data from illegal access when the phone got stolen or lost. Step 1. 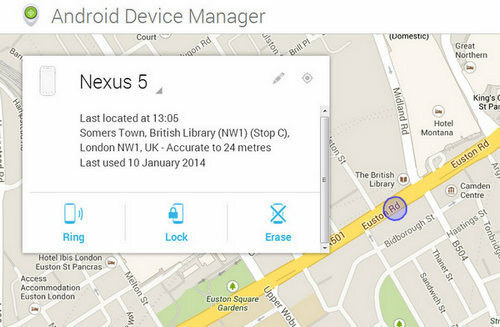 First go to Android Device Manager page to check whether your phone has turned on this feature or not. If yes, then move to the next step. Step 2. Now type android.com/find in a browser address bar. Step 3. Sign in Google account associated with the phone. Step 4. You can see the last location of the phone on the map. Click on the device and there is an option called Erase. Step 5. Click "Erase" and the data on the phone will be permanently deleted. However, it won't delete files on SD cards. 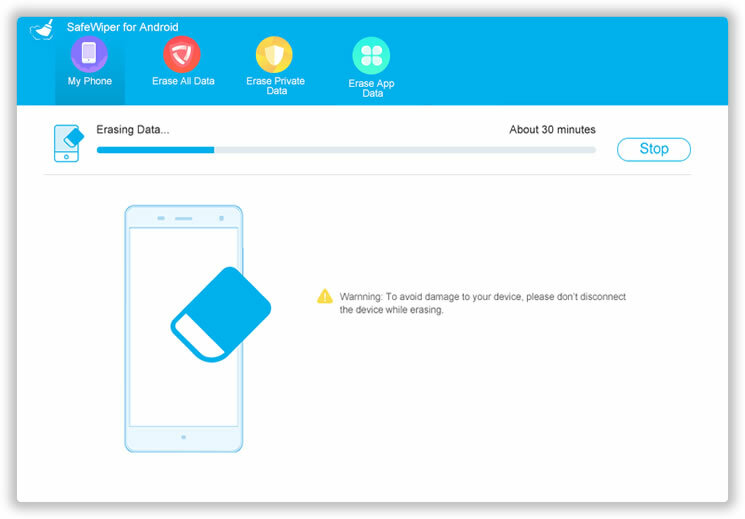 In this guide, we have demonstrated how to delete all files from your phone safely and securely. It is not recommended to delete your files using a simple delete button as that is not safe and those files can be easily recovered. To make this process more prominent, you must use a professional software like Dr. Fone Toolkit - Android Data Eraser to make the deletion process permanent and eternal. Selling smartphones should be done by taking certain care and safety so that your private data don't fall on any wrong hands. Candie Kates is a TunesBro associate editor who writes about apps, Android and mobile hardware. She has a big love for all things tech and covered tech for over 8 years. Now she is exploring wearable tech, phones, and future tech trends. You can catch her on FB, Twitter.